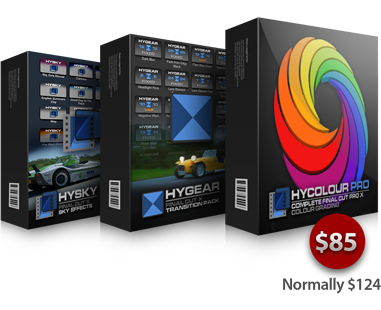 Finally, a complete colour grading solution for FCPX. 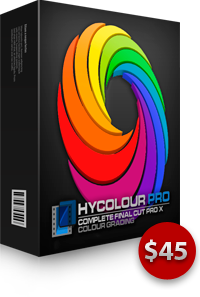 All of HyColour and so much more. No need to round trip to Resolve or other tools. 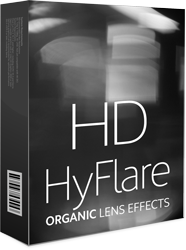 Familiar Lightroom style user interface. 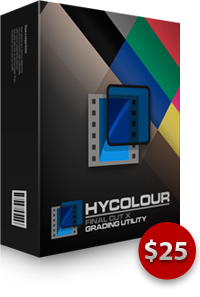 A really neat colour grading tool for FCPX that brings white balance, exposure, green cast removal, saturation, colour bias, sharpening and a broadcast safe filter, together in one plugin. 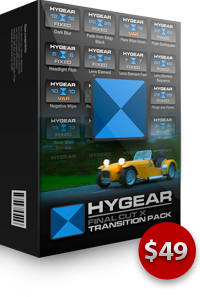 Replica BBC TopGear FCPX Transitions. Using original and bespoke artwork, this transition pack replicates the looks used in Series 17 and 18 of the BBC programme. 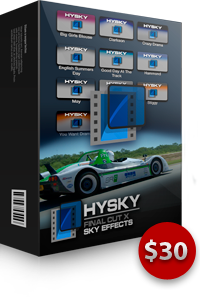 An FCPX plugin that instantly adds dramatic sky effects to your sequences. 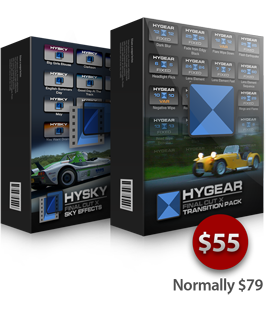 Infinitely customisable, HySky will give your footage added drama and that TopGear style. 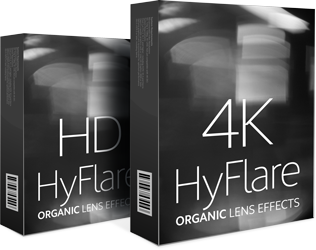 Get even better value with one of our bundles!